The Coppelia Dining room is the second tier of the ship's three deck main dining room aft of the ship and accommodates up to 502 guests. Open for dinner only with the same menu as the other two levels of the main dining room, Main seating is at 6.00pm and second seating at 8.30pm.... Deck Plan for Navigator of the Seas' Deck 10 Below is the Navigator of the Seas interactive deck map for Deck 10 . It is interactive - you can click on a cabin to explore the amenities, features and view a picture of the particular stateroom. 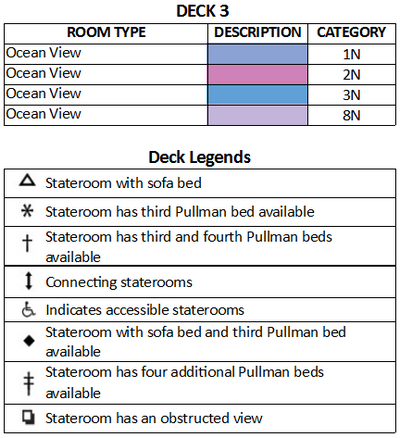 Deck Three on Navigator of the Seas® H * Deck Plans on this site are frequently updated. Please note that Printable Deck Plans may not reflect the most recent changes.... Deck Plan for Navigator of the Seas' Deck 10 Below is the Navigator of the Seas interactive deck map for Deck 10 . It is interactive - you can click on a cabin to explore the amenities, features and view a picture of the particular stateroom. 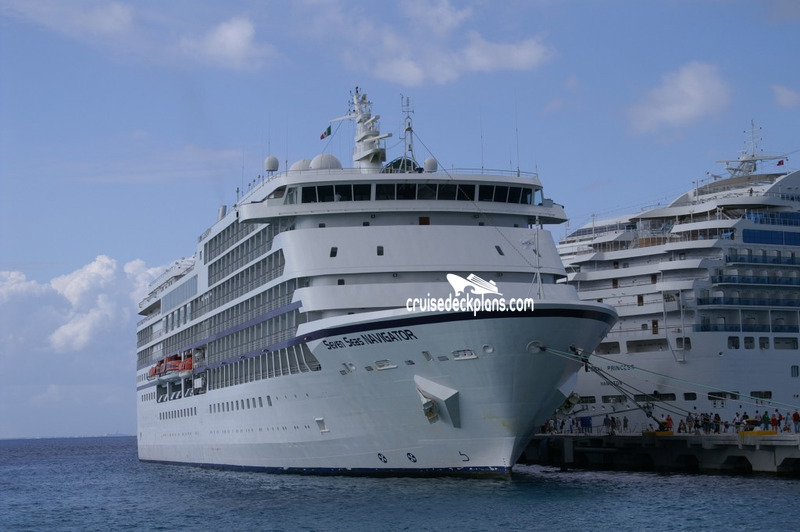 * Currently available on Independence, Grandeur and Legend of the seas Navigator of the Seas Deck Plans Deck 2 Deck 3 Deck 4 Deck 5 Deck 6 Deck 7 Deck 8 Deck 9 Deck 10 Deck 11 Deck 12 Deck 13 Deck 14 Deck 15... Deck Two on Navigator of the Seas® * Deck Plans on this site are frequently updated. Please note that Printable Deck Plans may not reflect the most recent changes. The Coppelia Dining room is the second tier of the ship's three deck main dining room aft of the ship and accommodates up to 502 guests. Open for dinner only with the same menu as the other two levels of the main dining room, Main seating is at 6.00pm and second seating at 8.30pm.